This easy meatball recipe is made with lean bison meat, and seasoned perfectly for a delicious, flavorful meal. This meatball recipe and others is one that we have all the time at my house. My kids love it! My mom always used to make it for me when I was a little girl as well. 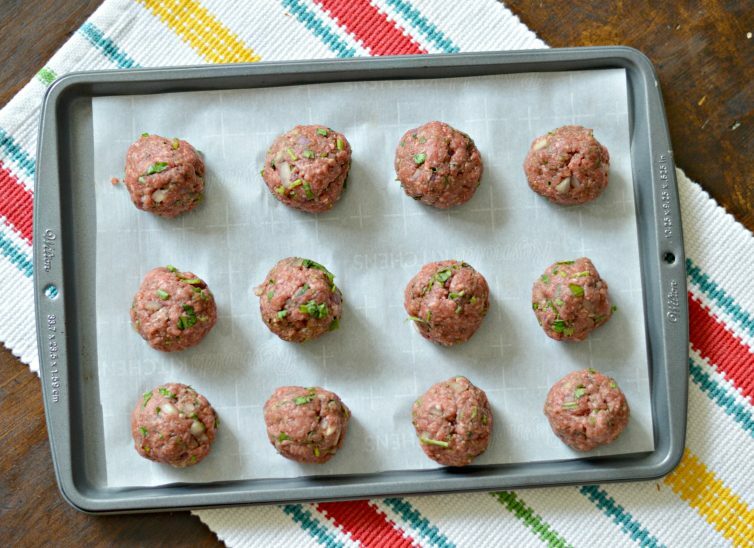 Not only is this meatball recipe easy to make, but they don’t take very much time at all! I remember that that is one of the reasons that my mom always used to make it for us when we were little kids, and I am so happy that my kids love it just as much as I did. This version is slightly different than the one that my mom used to make, because I have decided to add melted mozzarella cheese on top, and to use lean bison meat. Bison meat, in my opinion, tastes even better than normal ground beef and it is healthier too! 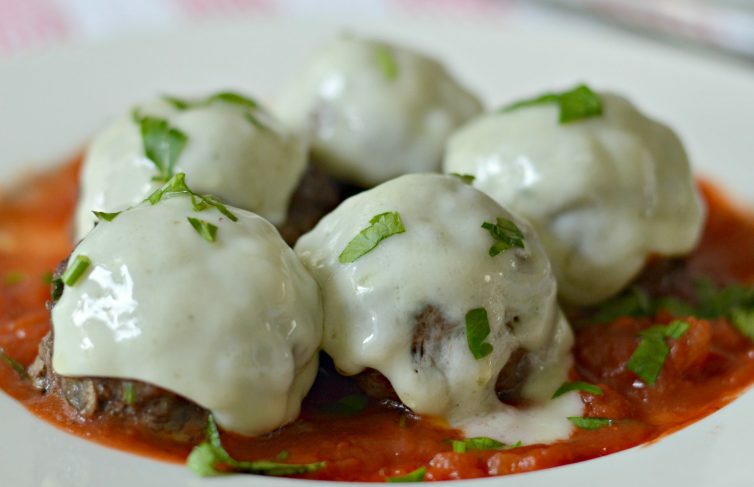 This meatball recipe is perfect to serve as an appetizer, or as a main dish. In our case, we served them as appetizers while watching our teams play in the World Cup this year. The traditional way to serve meatballs in Mexico is with white rice, fresh salsa, and diced potatoes. However, here in the United States, I have learned to use meatballs in many different ways. For example, on spaghetti, smaller ones on pizza, and even on sandwiches! We love using this meatball recipe for all of those meals and more, and they are on our menu at least once per week. These are so easy to make. In only a few minutes, with this meatball recipe, you can have dozens of meatballs prepared and ready to bake. You can also freeze them if you make too many so that you can heat them and eat them another day. Another good thing about this meatball recipe, is that you can let your kids help make it. During the summer, this is a fun way to teach your kids how to cook and spend them with them forming the meatballs. 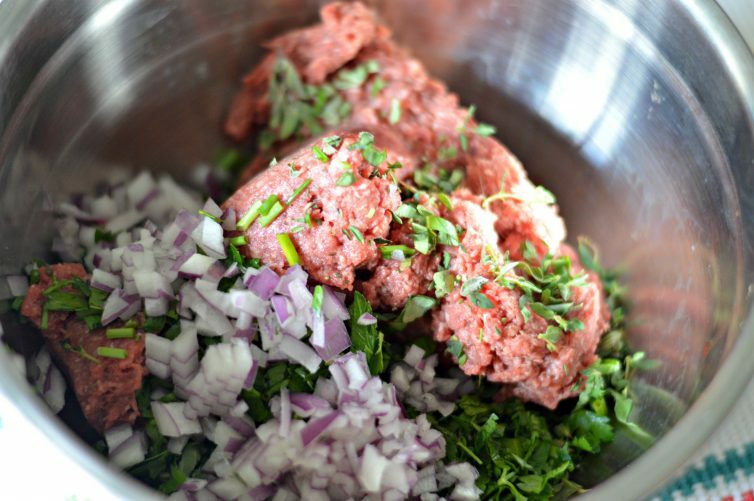 One of the reasons I decided to use ground bison meat for this meatball recipe, is because it has less fat and more protein that regular beef. This recipe also omits certain ingredients that tend to appear in other meatball recipes, such as eggs and breadcrumbs. I love to add fresh herbs like oregano, thyme, and basis so that they are more healthy, but still flavorful. This always helps to bring out the naturally delicious flavor of bison as well. The final component that I added to this meatball recipe was a few slices of melted mozzarella cheese on top. This was the perfect touch to ensure that these meatballs were a hit at our house and that there wouldn’t be any leftovers. After you try this meatball recipe, please come back and let me know how your family liked then. I just know that they will love it! 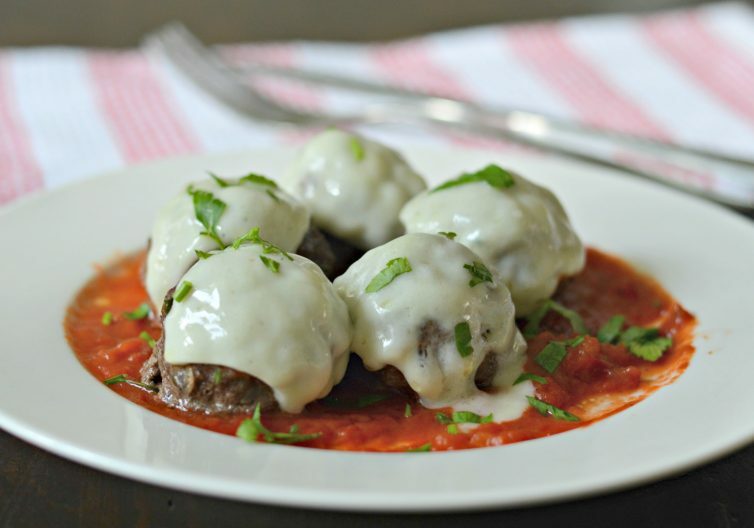 If you love this meatball recipe, make sure you try out these delicious meals as well. Take the ground bison combination and form 1 inch meatballs. 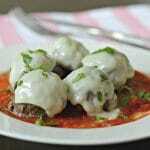 Put the meatballs in a baking pan or other baking dish that has been lined with aluminum foil. (Optional) Add a small piece of mozzarella cheese on top of each meatball, and bake for 3 additional minutes, or until the cheese is melted.